The Euro Pony Club is a youth oriented, not for profit, organization devoted to the goal of fostering a greater understanding of individual cultures, languages and peoples through the promotion of Youth Riding, Pony Club Exchanges, Equestrian Sports and Education. 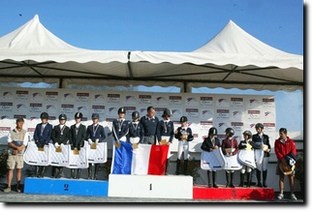 At the present time the Euro Pony Club is co mprised of representatives from twelve European nations. In practice the EPC seeks to facilitate the exchange of information and ideas among its it member nations and to act as a meeting place where advice and solutions to common problems can be sought. 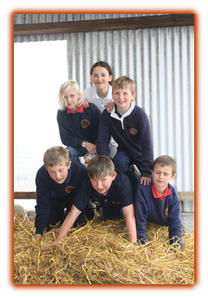 To encourage riding and all equestrian sporting and leisure activities using ponies in Europe. To encourage, co-ordinate and promote ancillary socio-educational and pedagogical activities and to allow the widest possible expansion of all of them to contribute to the educational training of European Youth. To undertake and promote all kinds of research in these fields, to inform and instruct. To contribute to linguistic and cultural exchanges throughout Europe. Förderung des Reit- und Freizeitsports mit Ponys in Europa. Förderung und Koordinierung aller erzieherischen und sozialpadädagogischen Aktivitäten mit dem Ziel einer weitestmöglichen Expansion, und um so zur Ausbildung der Jugend in Europa beizutragen. Durchführung und Förderung aller Arten der Forschung auf diesem Gebiet, Information und Instruktion. Einen Beitrag zum sprachlichen und kulturellen Austausch in Europa zu leisten. Encourager toutes les activités équestres et de loisirs sur poneys en Europe. Encourager, co-ordonner et promouvoir des activités auxiliaires. socio-éducatives et pédagogiques, et de permettre une expansion aussi grande que possible, afin de contribuer á l’entraînement éducatif de la Jeunesse d’Europe. Entreprendre et promouvoir toute sorte de recherche dans ce domaine, informer et instruire. Contribuer á l’échange lingiustique et culturel en Europe.